There is another type of short fiction that departs from the traditional form. Literature professors call this type modernist. Modernist stories are often plotless, non-linear, and are sometimes written in a stream of consciousness narrative that when done well creates a feeling of immediacy, and when done poorly creates a feeling of being lost in a labyrinth of incomprehensibility. Modernism was born in the late 1800s, but did not bloom until after World War I. Modernist stories deal with themes such as alienation, isolation, despair, and self-destruction. These themes were engendered by the mass slaughter on the battlefields of the war. In modernist stories, characters are blown about by the winds of a fate they are powerless to control or even understand. Modernism continued to grow in fits and starts during the 1920s and 1930s and into the 1940s, especially in academic and Bohemian circles. Meanwhile quality traditional stories were widely read in large circulation magazines such as The Saturday Evening Post, Cosmopolitan, The Atlantic, McCall’s, Collier’s, and Esquire. After World War II, tens of thousands of returning soldiers wanted to write of their experiences and the government was providing a free college education to them; hence, the birth of university creative writing programs. Literature departments at these universities were hot on the modernist bandwagon, of course, and so writers who wrote modernist stories were selected for these new plum teaching jobs. It was in these years that modernist fiction became known as “literary fiction” and literary reviews gradually stopped publishing traditional short stories because, well, they were too low-brow. Since modernist stories are by definition literary, by implication traditional short stories are obviously, well, not literary. Traditional short stories weren’t exactly junk fiction either, but to the literati they were close. Entertainments, they were called derisively. Academics started to refer to traditional stories as “genre fiction,” “popular fiction,” or “romantic fiction,” but no academic would ever call even the best of them literary. In the 1960s modernism evolved into postmodernism. Postmodernism is characterized by the use of even more self-conscious techniques such as metafiction, unreliable narrators, and fragmented narrative through-lines. Postmodern short stories are but a further development of modernism, not a radical departure from it. Fans of modernist and postmodernist fiction accuse traditional short stories of being formulaic and moralistic, qualities that do not appeal to what they call “modern literary sensibilities.” Traditional stories are also, they say, too accessible. Fans of traditional short stories counter this by saying: If true, short story masterpieces such as Shirley Jackson’s The Lottery, Jack London’s To Build a Fire, Edgar Allan Poe’s The Tell Tale Heart, Willa Cather’s On the Gull’s Road, Flannery O’Connor’s A Good Man Is Hard to Find, and hundreds of other great works written in the traditional form that will knock your socks off are not worth the trouble to read. What a bunch of bull! 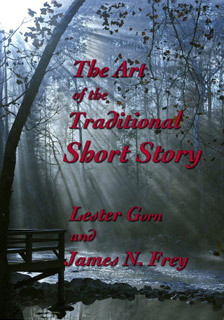 The traditional short story has been around for several millennia at least, and is not going away any time soon. The form, according to psychologist Carl Jung, is hard-wired into our brains in structures he called archetypes. The form of the traditional short story is the modern incarnation of oral tradition heroic myths that predate the written word by countless thousands of years. Modernist and postmodernist stories have been around about a hundred years, give or take—about as long as the fictional rogue biography fad lasted in the 17th century and the closet drama fad lasted in the 18th. Writers who write traditional stories to be read and enjoyed by ordinary people have always suffered at the hands of the critics who see things through the lens of literary snobbery. Dickens in his day was scourged by literary critics who accused him of being a hack writer of cheap magazine serials. Tolstoy was ostracized by the Moscow literary elites for writing for the masses, especially his moral tales intended for the young. Emily Bronte’s Wuthering Heights (1847) was excoriated for being, well, a dark, gothic horror novel on a par with potboilers like Ann Radcliffe’s The Myteries of Udolpho (1794) and Matthew Lewis’s The Monk (1796). Fans of modernist and postmodernist stories like to read them, they say, because they’re lyrically written and replete with supposedly arresting philosophical insight and striking images. They make you think, they say. Fans of the traditional short story do not like modernist stories because, they say, they lack narrative drive and clarity, and don’t induce the fictive dream. They’re almost without exception boring. This clash of sensibilities between traditionalists, who for the most part adhere to proven and enduring aesthetic principles, and the revolutionary avant-guard that smashes them to smithereens goes on and on and on. It all comes down to a matter of taste, perhaps. We hope you will not find any of the stories in this book to be boring—or inaccessible. This collection includes stories of crime and punishment, war, Nazi atrocities, the supernatural. There are two comic stories featuring an inept private eye, a love story, a sci-fi story, a story of a woman prison guard who is promoted to be a state executioner, an off-beat war story of soldiers temporarily taking over a civilian’s house, and a couple of stories that are precariously perched on the borderline of just plain weird. All fourteen are in the traditional form and deal with both modern themes such as alienation and loneliness, and traditional themes such as love, loyalty, forgiveness, courage, honor, and duty. One of the stories might be technically too long to be deemed a short story: It’s called “Brothers.” A literature professor might call it a novella. Our publisher’s readers and the editor found it gripping and moving (one reader called it a tour de force), so we included it.